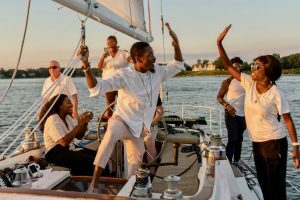 Stay up and party for as long as you like aboard either Therapy 43' sailboat or Irie Vibes 34' powerboat. 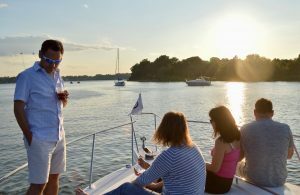 Cruise and enjoy spectacular views of the sunset, anchor in the famous Harness Creek on the South River. 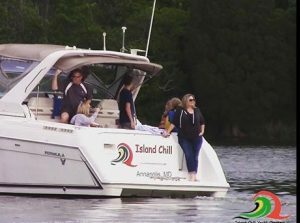 Non-stop entertainment aboard, mingle with other boaters, or you can choose a more secluded anchorage at the Rhode River by Big Island . Enjoy snacks and beverages, or order from our Island Grill Kitchen catering menu. Sleep aboard overnight and wake up to a delicious breakfast. Give us a call today! Your Island Chill sales agent will help you choose the perfect accompaniment for you and your friends. 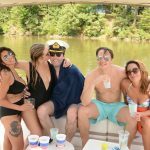 Enjoy 10% OFF Full day & Overnight cruises. Contact us. 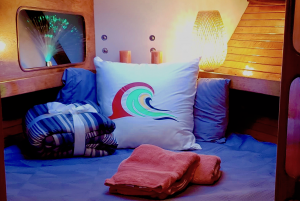 Your crewed charter experience begins with your desired yacht. Each gives you a safe and exhilarating ride, comfortable spaces, and modern features and allows you the best onboard experience. 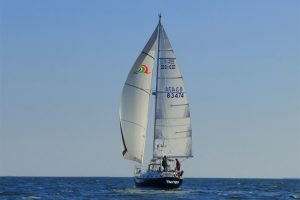 Click sail or power charter below and enjoy cruising with us!